In a romantic gesture, the 25-year-old superstar singer took to Instagram on Monday to post a romantic poem for the 22-year-old model. Writing directly to Hailey, Justin said he just wanted to "publicly honor" her today and wished her luck at her shoot. "Sunlight falls into the Abyss Just like i fall into your lips," Justin began his message, which he shared alongside a picture of Hailey from a Maxim photo shoot. "Waves crash onto the shore My love for you grows more and more Sound of the crickets a true meditation I think of you, gods greatest creation." "As i fall into this blissful state I ponder on how you're my one true SOULMATE," he continued. "It's getting dark too dark to see A chilling breeze embraces me The smell of chamomile fresh from the garden My life is a movie that both of us star in." "Speaking of stars I'm starting to see some They light up the sky, reminds me of my freedom How big and how vast our world is around us So grateful for god we were lost but he found us," Justin went on to say. "So i write the poem with him always in mind Things all around us Just get better with time." In just a few days, the couple will be celebrating seven months of marriage. 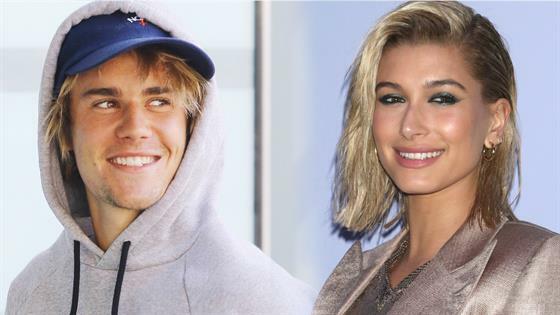 Justin and Hailey, who got engaged in July 2018 while in the Bahamas, secretly tied the knot in a surprise courthouse ceremony in September.